Are you struggling with poor organic search rankings for your online degree programs? The culprit could be your online degree website location. When adding online degree programs to higher education websites, colleges and universities have two choices; either add each online program as a subpage of its relevant degree program or department page, or centralize the online programs in a “hub” page or microsite that provides information about all of the online degrees offered by the institution. We asked Mark Beale, SEO (search engine optimization) and CRO (conversion rate optimization) expert at VONT, which strategy would likely yield the best organic search results. Looking for a basic digital marketing plan for higher education? Be sure to download our free plan to get you started. For additional information about creating successful web marketing campaigns for higher education, we suggest you check out our web page on digital marketing tactics for higher education. It will give you a high level overview of what it takes to be successful with digital marketing today. When asked whether universities should be centralizing or decentralizing online program pages on their websites, Mark responded that colleges and universities, at least those that offer both on-campus and online programming, should be doing both. “The ideal scenario for colleges with both on-campus and online degree programs is to list their online programs within the core on-campus degree or department pages, but also to create a hub page or microsite that indexes all of their online programs in one place,” said Mark. “With this approach, if a prospective student searches for either “online criminal justice degree” or “criminal justice degree,” one of the institution’s pages is more likely to show up in the search,” he noted. The key to this strategy, however, is not to duplicate content on the online hub and degree program pages. Contrary to popular belief, Google won’t actually “punish” a website for having duplicate content on multiple pages – but it will prioritize one page over the other in search rankings – causing a severe decline in ranking for the deprioritized page. Essentially, you end up competing against yourself for search keywords. To avoid content duplication, Mark suggests using a hub and spoke model where you provide a summary of each online degree program on the hub page, and then link those summaries to the more in-depth content on the on-campus department pages. The hub page may not rank as high due to having thinner content, but it will help boost the contextual relevance of the overall degree program pages and help build those pages’ authority with inbound links. While the hub and spoke model is optimal for increasing organic search rankings, it may be out of scope for smaller institutions that aren’t able to build, maintain, and create content for both the hub and spoke pages – especially if there are a large number of online degree programs. If cost and labor are an issue, Mark recommends keeping the “spokes,” so-to-speak and eliminating the hub page. In this model, prioritizing the on-campus degree pages will allow them to have richer contextual reference, greater authority, and the ability to rank high for specific search terms. The hub page, on the other hand, will likely have minimal contextual relevance for a larger number of keywords. “Basically, you’re better off having deeper and richer content specific to a particular keyword or search term than you are having minimal content for a large number of keywords,” noted Mark. The exception to the spokes-only approach is for online-only institutions. “Colleges and universities that offer ONLY online programming, might choose to prioritize the hub page over the spokes, simply because the ‘online’ keyword is more important to rank for than the specific degree programs,” said Mark. “Having lots of contextual relevance about online programs would help the page to rank higher for those terms,” noted Mark. 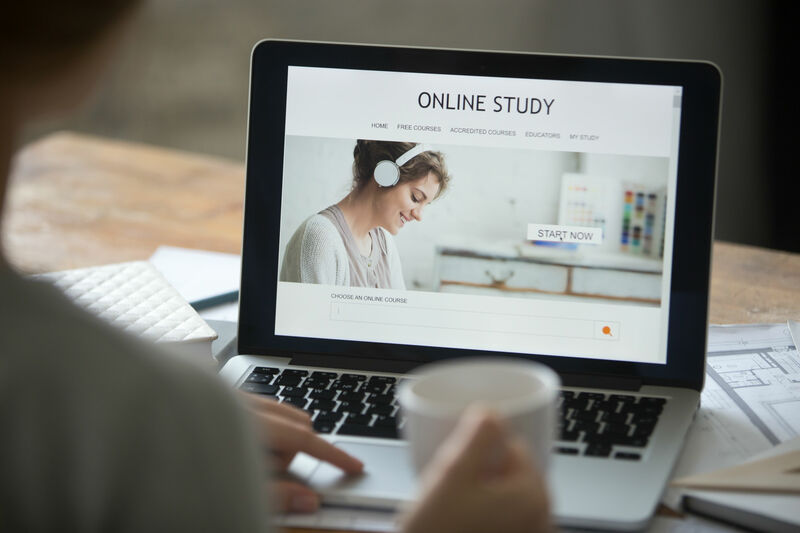 While colleges and universities offering only online programs may want to consolidate their program information into one page or microsite, institutions with both on-campus and online programs are better off following a hub and spoke model. This approach is designed to capture prospective student searches for both program types, ultimately directing the student to an authority page that houses the deeper, more contextually relevant content covering both online and on-campus programs.